CHICAGO—The School of the Art Institute of Chicago (SAIC), a global leader in art and design education, teamed up with the RumChata Foundation to provide a $20,000 merit fellowship to a student graduating from the school’s Master of Design in Fashion, Body and Garment program. The RumChata Foundation Fellowship in Fashion Design, now in it’s third year, supports the vision of emerging fashion designers as they begin their careers by providing critical financial assistance that gives them the freedom to take creative risks. The fellowship was started in 2016 by the Chicago-area foundation to support artists who have an entrepreneurial spirit. The selection process for the fellowship is competitive, with students submitting statements, images and a project proposal detailing the use of their fellowship funds to a panel of faculty from SAIC’s Fashion Design department and a RumChata Foundation representative each year. The finalists then present their work in front of the panel. Nathan Hoyle (MDes 2018) recently graduated from SAIC. Through his work with fibers and installation, he explores the truth’s relationship to past and present. Hoyle is continuing his work, and has recently opened his own studio in Chicago’s Humboldt Park neighborhood. His thesis work is currently on display at Gallery Aesthete, 1751 West Division Street. Nick Mahshie (MDes 2017) founded Tranqui Prints Studio in Miami, a screen printing studio focused on printed textiles, which he was able to begin thanks in part to the RumChata Foundation Fellowship. His artwork has been recognized by the New York Times, Time Out Magazine and the Miami New Times. Mahshie is currently the Youth Program Coordinator at the Institute of Contemporary Art Miami. For more than 150 years, the School of the Art Institute of Chicago (SAIC) has been a leader in educating the world’s most influential artists, designers and scholars. Located in downtown Chicago with a fine arts graduate program consistently ranking among the top programs in the nation by U.S. News and World Report, SAIC provides an interdisciplinary approach to art and design as well as world-class resources, including the Art Institute of Chicago museum, on-campus galleries and state-of-the-art facilities. SAIC’s undergraduate, graduate and post-baccalaureate students have the freedom to take risks and create the bold ideas that transform Chicago and the world—as seen through notable alumni and faculty such as Michelle Grabner, David Sedaris, Elizabeth Murray, Richard Hunt, Georgia O’Keeffe, Cynthia Rowley, Nick Cave, Jeff Koons and LeRoy Neiman. 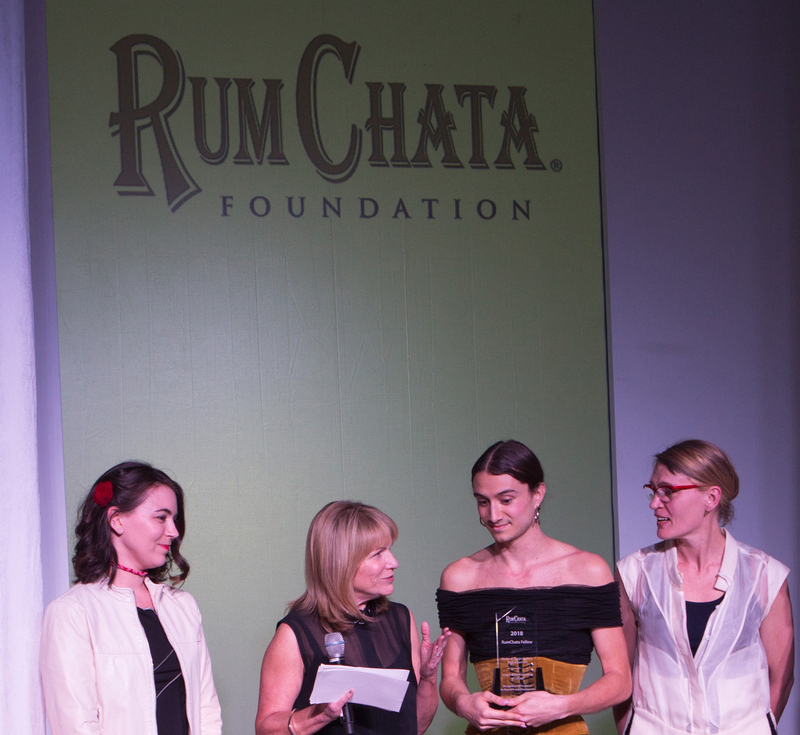 The RumChata Foundation was formed to share in the world-wide success achieved by the RumChata brand. Its mission is to provide financial support to worthy causes that align with a brand enjoyed by millions around the world who work hard, are passionate and want to do good. The RumChata Foundation is proud to have donated more than $750,000 over the past five years to Lone Survivor Foundation through its annual RumChata Freedom Bottle Program. The RumChata Foundation also supports local and national charities including The American Cancer Society, The American Heart Association, Variety Clubs and Gridiron Greats in addition to scholarship programs for graduate students studying fashion and culinary arts. Nick Cave, professor in the Fashion, Body and Garment program crosses over fashion, sculpture, installation, performance, video, and designed objects in his work. Newcity released its annual Design 50 list along with a special Design Hall of Fame, honoring those who drive the creation of form, function, and beauty. CHICAGO—The School of the Art Institute of Chicago (SAIC), a global leader in art and design education, presents Copenhagen-based fashion designer Henrik Vibskov in his first artist residency in the United States. Through a collaboration with the Museum of Contemporary Art Chicago (MCA) and the IN>TIME performance festival, Vibskov will install as part of the residency “Henrik Vibskov : 0000 : State on State,” a multimedia exhibition including fashion, film and a massive paper installation at SAIC’s Sullivan Galleries, on view from Feb. 7 through 14, 2019.